Essential:-M.Sc. 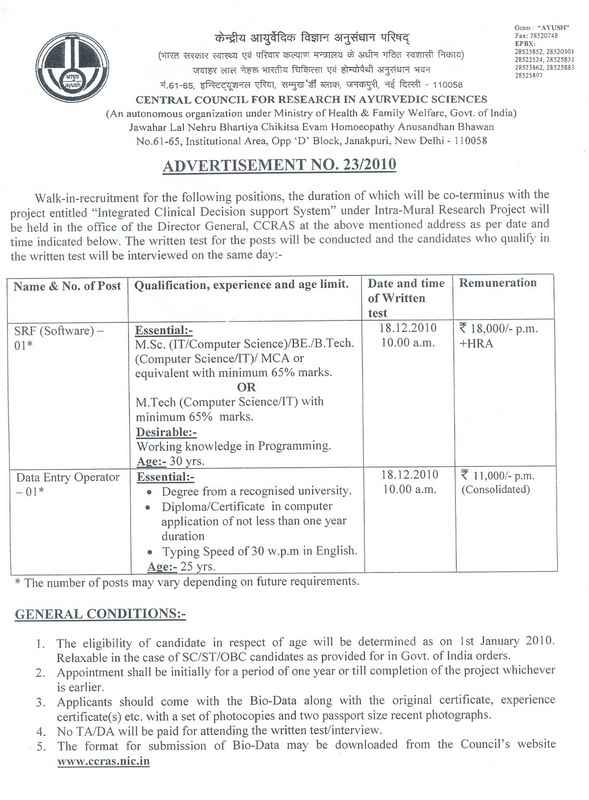 (IT/Computer Science)/BE./B.Tech. (Computer Science/IT)/ MCA or equivalent with minimum 65% marks. OR M.Tech (Computer Science/IT) with minimum 65% marks. • Degree from a recognised university. • Typing Speed of 30 w.p.m in English. Age:- 25 yrs.